This is a collection of the very first work that MissionFOTO was asked to produce. A call from Trader’s Point Christian Church soon put us on a 24 hour air hopping adventure to the Dnipropetrovsk Airport, 10 inches of snow and temperatures bottoming out at zero degrees F. With a three hour unheated bus ride to Berdyansk, we met with Jonathan and Heather Powell, two missionaries with the Berdyansk Baptist Church. 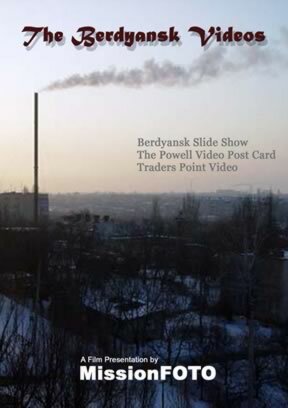 During our ten days of filming, we produced a “video postcard” for the Powells to be sent back “home” to their supporters and friends, a documentary of a college student gathering at one of the “worker rehabilitation” sanitoriums and a travelog of Berdyansk.